The Trump administration is revoking dozens of requirements for federal agencies and pausing any further updates to Obama administration priorities, the Office of Management and Budget announced Thursday. OMB called the push, which it said will eliminate tens of thousands of work hours across government, phase one of its own reorganization effort. Mick Mulvaney, the agency’s director, issued a memorandum Thursday to roll back or alter 59 previous OMB memos. It also directed the General Services Administration and Office of Personnel Management to go through similar processes. 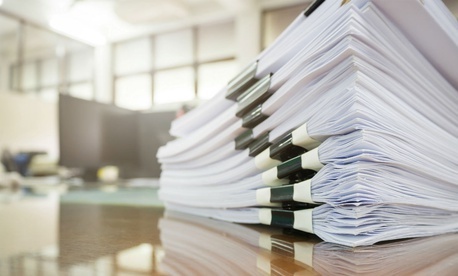 The eliminated requirements include reports that are now obsolete, redundant or unnecessary. The first two were easy to identify, Mulvaney told reporters Thursday, highlighting reporting requirements about preparations for the year 2000 and the 2010 BP Deepwater Horizon oil spill. He conceded there was “a certain subjectivity” to the third category, but added he did not believe there was anything controversial. OMB ended enforcement of an array of information technology memos, reporting metrics on grants management, accelerated payment reporting, a council created to improve the customer experience with major federal programs and other requirements. It also partially eliminated oversight efforts associated with conference spending and the use of government charge cards. Linda Springer, an OMB senior advisor, said the administration felt comfortable with the modified reporting on those topics because individual agencies have instituted tighter internal controls. “It doesn’t mean we are sanctioning bad behavior,” Springer said, noting OMB would still provide some oversight on both issues. Mulvaney added the conference reporting was inefficient and taking time away from employees who could be conducting more mission-critical work. OMB instructed agencies to suspend reporting on Performance.gov the cross-agency priority goals created by the Obama administration and to instead focus only on goals in line with the Trump administration’s goals. It also told agencies to forego reporting in their strategic reviews on any objectives “that an agency determines will be substantively different or no longer aligned with the current administration’s policy, legislative, regulatory or budgetary priorities.” Agencies will resume using Performance.gov after the administration releases its own priority goals in its fiscal 2019 budget. Springer said OMB consulted with agency management councils in combing through the 253 pieces of guidance and policy documents and the decision on what to eliminate was ultimately determined by the career workforce. In some cases, she explained, the obsolescence of reports became obvious because no one ever asked for them. The former OPM director said at her old job she occasionally told her staff not to disseminate certain reports to see if anyone ever asked for them, and no one ever did. Going forward, OMB will continue to evaluate agency reporting requirements and work with Congress to eliminate those that are now unnecessary but still obligatory in statute.